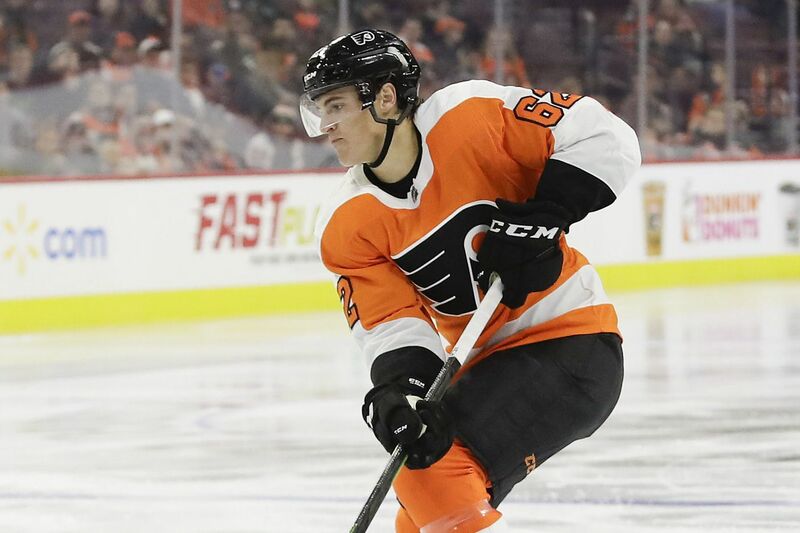 Nicolas Aube-Kubel will start the season with Lehigh Valley. The Flyers loaned forwards Nicolas Aube-Kubel and defenseman Philippe Myers to the Phantoms Tuesday, reducing their roster to 33. With four players — Samuel Morin, Alex Lyon, Pascal Laberge and Michal Neuvirth — unlikely to start the season on the active roster, this leaves six cuts left for the team to get to the required 23-man limit. There are several intriguing decisions to be made, not the least of which is paring down a back-of-the-lineup competition involving established veterans and upstarts. Dale Weise, Jordan Weal and Jori Lehtera have faced still challenges for fourth-line/extra man roles by the younger players who continue to emerge from the Flyers system. Mikhail Vorobyev, the 21-year-old Russian centerman who spent all of last season with the Phantoms, is vying for the third-line center spot. Corban Knight, a 28-year-old veteran with NHL experience who played for Flyers coach Dave Hakstol at North Dakota, is trying to win the fourth-line center role. Carsen Twarnyski, a feisty left wing, is trying to make the unlikely jump from junior player to the NHL. With two preseason games remaining — Thursday against the Rangers and Saturday in Boston — all are still in camp. Myers, a 6-5, 200-pound 21-year-old defenseman, showed flashes of the skill set that excite Flyers brass and their fans, but there have been bumps, including an ugly clearing attempt in Monday's 4-3 loss to the Bruins that resulted in a goal. Aube-Kubel, 22, had a strong camp, but he is part of a crowded field.